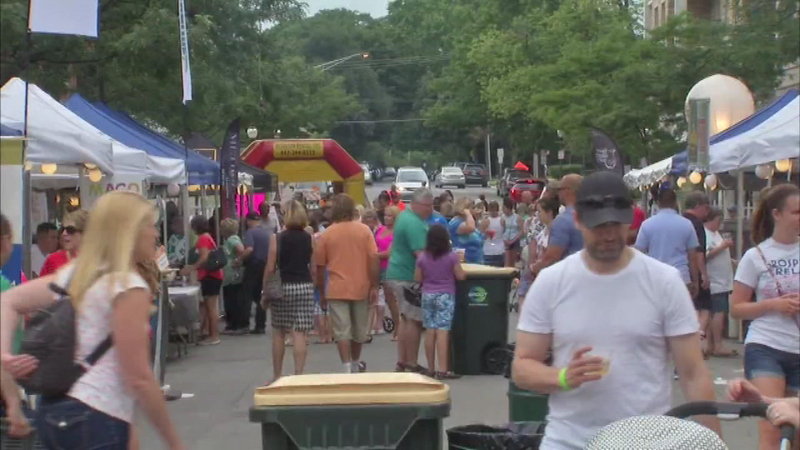 The "Taste of Arlington Heights" features live music from favorite local bands as well as children entertainment and food from local restaurants. ARLINGTON HEIGHTS, Ill. (WLS) -- A summer celebration is drawing big crowds to the northwest suburbs Saturday. The "Taste of Arlington Heights" features live music from favorite local bands as well as children entertainment and of course food from local restaurants. The fun continues until 11 p.m. Saturday night. Saturday's event kicks off "Million Week" leading up to the Arlington Million next Saturday at Arlington International Racecourse.